Read my quick review of the upcoming book Inussuk: Culture Crossing by Lena Lauridsen, my evaluation of Danes as the ‘quintessential’ foreigner in Greenland, and a presentation of statistics that show the picture of internationals in Greenland today. Inussuk: Culture Crossing by Lena Lauridsen is a new book in English for non-Danish internationals that are seriously considering or planning on moving to Greenland to live and work. It should be hitting the proverbial bookshelves in December 2015! I can warmly recommend Inussuk: Culture Crossing. The book covers every topic imaginable from the big picture elements like workplace atmosphere in Greenland and how to manage feeling different to some more technical issues like what paperwork and permits you need to file and how to stockpile hot commodities in winter. The book also poses questions throughout asking you to evaluate the information you have just read and to think honestly with yourself whether this is a lifestyle you can handle. The primary reason I stand behind this book is because it aims to set internationals up for success in Greenland, and by success I mean: positive experiences, noticeable cultural integration, and perhaps most importantly, cultivation of the desire to stay in Greenland for an extended period of time, and perhaps forever. The more prepared you are for the realities of living and working in Greenland, the more socially and economically beneficial your presence in Greenland will be. A shameless plug goes out to The Fourth Continent and myself, who contributed to the chapters on culture shock and language, respectively. 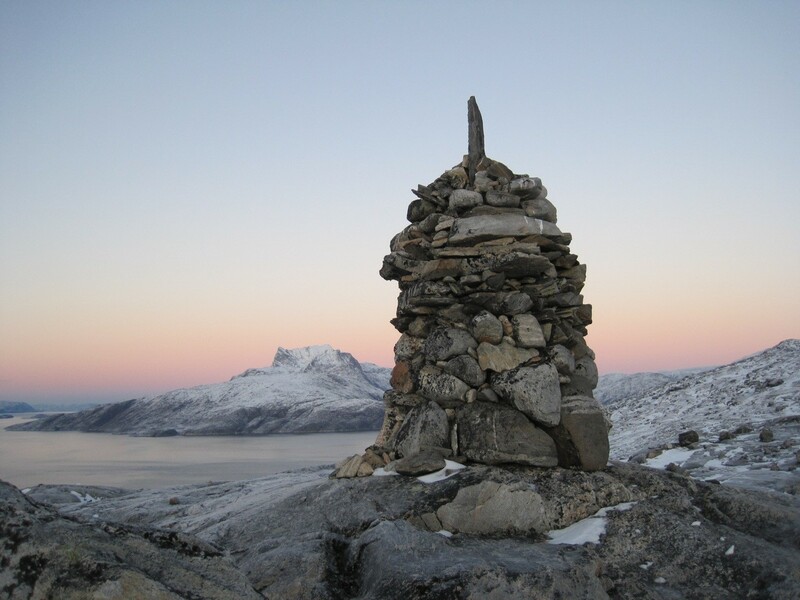 Historically, Danes were the only nationality emigrating to Greenland, and the present concentration of Danish internationals in Greenland is due to the political and economic relationship that ties Greenland to Denmark. Young Danes looking for a new experience yet still wanting the comforts of the same language and currency find Greenland to be a land of adventure, a veritable playground for their gap year. Others are driven by the professional prospect to be a big fish in a little pond, as Danes are typically paid more than Greenlanders and can often walk directly into managerial positions. Some are merely along for the ride while their international significant others chase dreams in the great north. And still others fall in love with Greenlanders, typically while they are studying down in Denmark, and return to their homeland together with them. With the political ties and the linguistic and economic similarities facilitating the moving process, it should be a piece of cake for Danes to move to Greenland, right? Wrong! Speaking Danish and holding a Danish passport is not at all a golden ticket to making it in Greenland. The truth of the matter is: while the politics, linguistics, and economics make the process of moving to Greenland easy for Danes on paper, they are just as likely as anyone to misunderstand the culture and to have unrealistic expectations. Therefore, having a good base knowledge of the culture and customs of daily life are what make the move successful in practice. A successful transition, or ‘making it,’ is necessary if someone should have half a chance of staying in Greenland for a long period of time – which is, of course, the most sustainable labor model for Greenland as a country. And hence why Lauridsen originally wrote this book. As a Danish international in Greenland herself, I can only imagine this book came out of a need for information that Lauridsen herself missed when moving to Greenland with her own family just a few years ago. The demographics of internationals in Greenland are changing and can be seen in the larger places like Nuuk (the capital), Sisimiut, and Ilulissat. Here you find small contingencies of Thai, Americans, Germans, Icelanders, Australians, Faroese, French, Brits, and even a New Zealander or two, plus other nationalities that I know I’m missing. I am personally very glad that Lauridsen saw the trend that Danes are not the only ones moving to Greenland anymore and thus that there is a demand for an English version of this book. Perhaps it is part of a much larger sociopolitical trend that points toward a diversification from all things Danish in terms of immigration, importation, foreign investment, politics, language, and so on. Statistics Greenland tells us that, on 1 January 2015, 11% of Greenland’s population is foreign-born, which amounts to a whopping 6009 people who have decided to make Greenland their new home. There are some places in Greenland that attract internationals more than others, but whether this pattern is driven by the employers or the internationals themselves cannot be determined here, although, naturally, it is directly related to the availability of employment and level of industry and infrastructure. The top three most populated towns in Greenland – Nuuk, Sisimiut, and Ilulissat – get nearly three-quarters of all the internationals. 61% of internationals (3636 people) live in Nuuk. 7% of internationals (433 people) live in Sisimiut. 6% of internationals (370 people) live in Ilulissat. But that’s not to say that internationals don’t branch out further. Out of 87 inhabited places in Greenland, 62 of them have at least 1 international living there, although the small settlements have, quite literally, just the one. Despite being surrounded by hundreds or even thousands of fellow internationals and even having a strong network like the Internationals in Nuuk group, it does not mean you will be in the majority. No matter where you are in Greenland, as an international you will be in the minority. 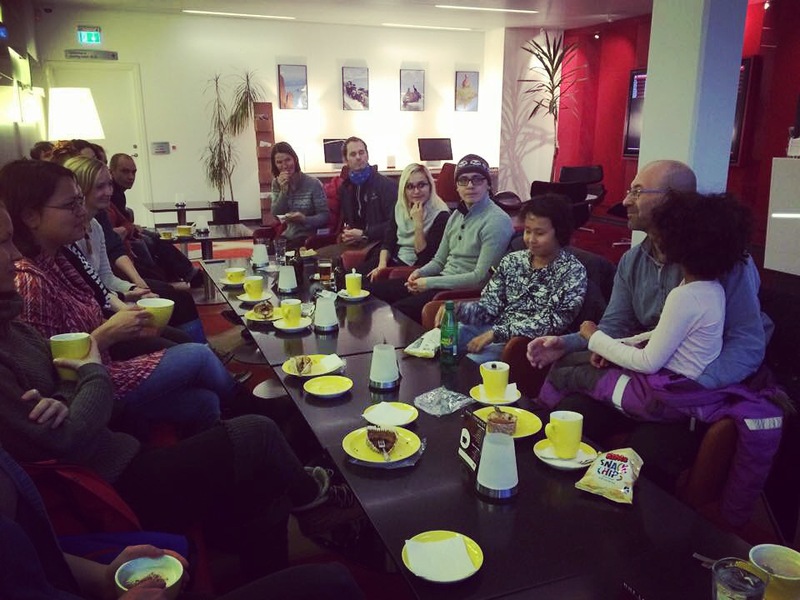 In Nuuk, the 3636 internationals still account for only 21% of the city population. In Sisimiut, the 433 internationals account for 8% of the town population. In Ilulissat, the 370 internationals account for 8% of the town population. If living somewhere with a high international-to-Greenland-born ratio is of great importance then, aside from Nuuk, you would fare better in Kangerlussuaq (21% international) or Narsarsuaq (17% international) than in Sisimiut or Ilulissat. However, the tradeoff is that Kangerlussuaq and Narsarsuaq are both small settlements with populations of 510 and 145, respectively, and with an infrastructure centered entirely on operating an international airport and the tourism it facilitates. Are you seriously considering or planning to move to Greenland? Are you already an international in Greenland? If so, leave a reply below or write to me at sarah@greenland.com. I’d love to hear from you! Photo credit: The Fourth Continent. Taken at Hotel Hans Egede in Nuuk, Greenland at an Internationals in Nuuk gathering in October, when Fernando Ugarte, an international from Mexico working at Pinngortitaleriffik (the Greenland Institute of Natural Resources), spoke. Despite being surrounded by hundreds or even thousands of fellow internationals, it does not mean you will be in the majority. No matter where you are in Greenland, as an international you will be in the minority. If living somewhere with a high international-to-Greenland-born ratio is of greatest importance to you, then, aside from Nuuk, you would fare better in Kangerlussuaq (21% international) or Narsarsuaq (17% international) than in Sisimiut or Ilulissat. However, the tradeoff is that Kangerlussuaq and Narsarsuaq are both small settlements with populations of 510 and 145, respectively, and with an infrastructure centered entirely on operating an international airport and the tourism it facilitates. Are you soon going to be an international in Greenland? There’s a book for you! After a few years in the pipeline, this day has finally come! 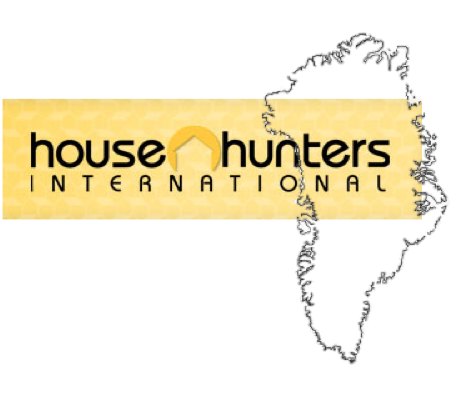 TONIGHT (Monday 12 May) – Watch House Hunters International Greenland on HGTV at 10:30 PM (USA Eastern Time). On international television, virtually meet my friend over at The Fourth Continent and her husband, and get a lovely introduction to the vibrant city (and not to mention the killer real estate) of Nuuk, Greenland! Did you ever ask yourself, What is it like living in Greenland? or What is everyday life in Greenland like? Tune in to House Hunters International Greenland tonight to get the 30 minute tour of Nuuk, one of the northernmost capitals in the world! House Hunters International is a reality television show that follows expats around the world as they move from one country to another. The real estate bit is, of course, central to House Hunters International, but the show is also a great showcase of the expat couple’s personality and the culture of their new home.